Invisible nail polish to repair damaged nails. It keeps nails long and pretty until they grow again. Apply again when necessary. ETHYL ACETATE, BUTYL ACETATE, NITROCELLULOSE, ACETYL TRIETHYL CITRATE, PHTHALIC ANHYDRIDE/TRIMELLITIC ANHYDRIDE/GLYCOLS COPOLYMER, ISOPROPYL ALCOHOL, SILICA, ADIPIC ACID/FUMARIC ACID/PHTHALIC ACID/ TRICYCLODECANE/ DIMETHANOL COPOLYMER, NYLON-66, MEK, CI 60725 (VIOLET 2). 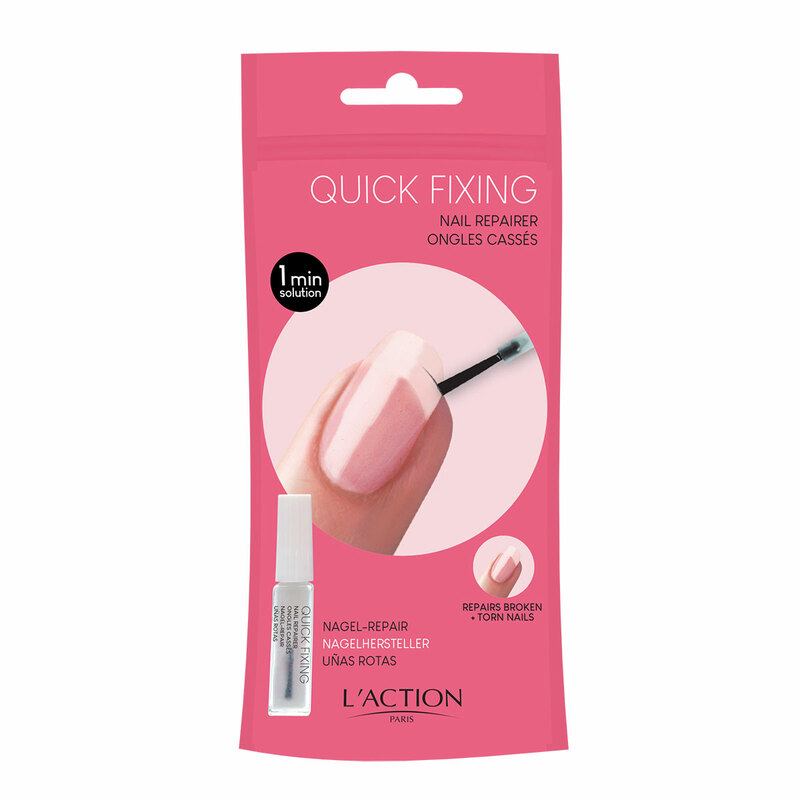 Apply a thin coat over the entire nail for a smooth, even effect. Leave to dry before applying your usual nail polish.